Rarely can one go to watch rugby and be treated to a carnival atmosphere alongside their beloved sport. 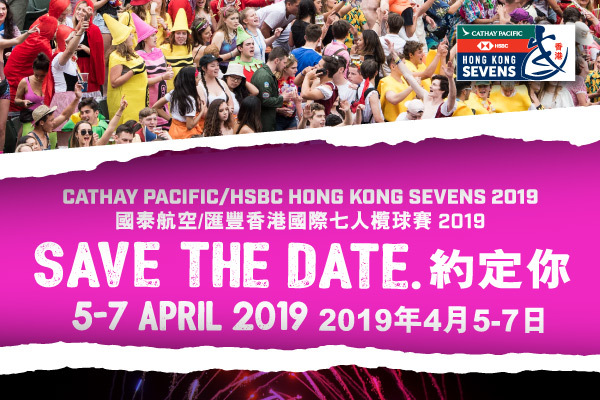 However, with HK Sevens 2019 tickets, come April that's exactly what you can expect. Hosted in the picturesque Hong Kong stadium, demand to witness the Hong Kong Sevens is high. So, those looking to sell tickets should check out our online ticketing platform. Few could have imagined back in 1976 that an event with 12 teams in front of 3,000 spectators would become the 3-day bonanza it is now. The Hong Kong Football Club that hosted the first live event as a source of local entertainment is a far cry from the global stage the event currently enjoys. In fact, the tournament's tagline is "Where the World Comes to Play." The Hong Kong Sevens is now firmly established as the most famous sevens tournament on the calendar and is one of the most popular sporting events in Asia. The clue’s in the name; instead of 15 players on each side, there are only 7. The pitch, however, is still full-size. This means more action, more running, more excitement and, of course, more tries! Rugby Sevens has a rich history and was accidentally ‘born’ in 1883 in Scotland by local club Melrose. In an attempt to save money at a sporting event, they decided to cut the team size down from 15 to 7 and only play a 15-minute match. The sport soon spread throughout Scotland and, eventually, globally with some nations becoming experts in this format, such as Fiji. Sevens tournaments are famous for their carnivalesque atmosphere with fancy dress now synonymous with the event and also their spectacular opening and closing ceremonies, Hong Kong is no exception. Heavyweights Fiji defeated surprise finalists Kenya in last year's final to take their fourth title in a row and record eighteenth overall. Tourament newbies South Korea found the going tough in their first appearance at the tournament, losing all their group matches and shipping over 150 points in the process. However, they did manage to score tries against both England and Wales in the tournament. What will the next HK Sevens tournament have in store? Will someone stop Fiji from winning an unprecedented fifth tournament win in a row? Make sure you are there for one of the best Hong Kong events in the calendar year! South Africa were crowned World Rugby Sevens champions for 2017-18, making it their second title in a row. If you want to see the fastest and most rewarding rugby on earth live, make sure you buy HK Sevens 2019 tickets quickly before the 40,000 seater stadium is full! Redeveloped from the old Government Stadium, the new Hong Kong Stadium was re-opened in March 1994. With a maximum seating capacity of 40000, the Stadium is at present the largest outdoor multi-purpose recreation and sports venue in Hong Kong.